This multi-day trip involves a fascinating combination of our three most popular mountain excursions! See the itinerary below for all of the details. Please note: From November to March, if the tour is booked for a departure on Monday or Tuesday, the order of the itinerary is different. The reason for the change is that our tour to Jungfraujoch does not operate daily in the winter. Combine our most beautiful mountain excursions with an unforgettable overnight stay on the summit of Mt. Pilatus - 2'132 meters above sea level! See below for the full itinerary. 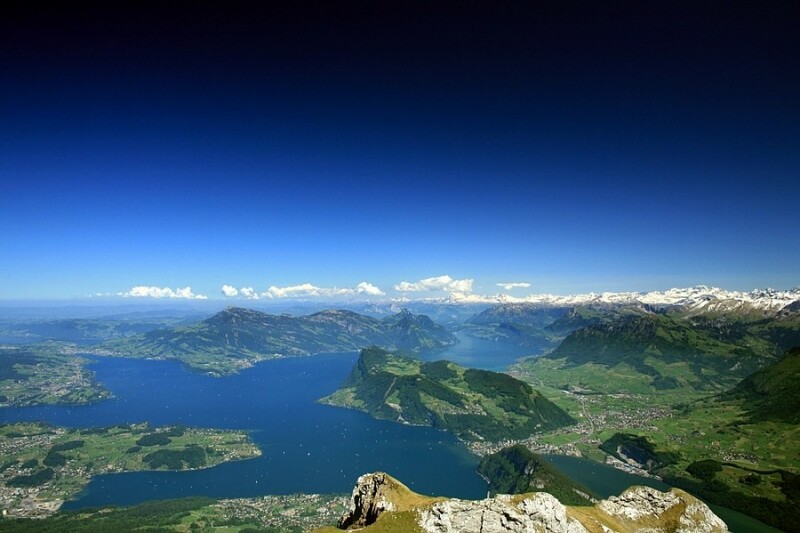 Combine our excursion to Mount Rigi with a relaxing wellness experience! Discover the different means of transportation such as the aerial cable car and Europe's first ever mountain railway, enjoy amazing views over 13 lakes and relax at the Rigi Kaltbad Mineral Baths & Spa. Savor a delicious 4-course dinner before your well-deserved quiet sleep! The next day a lovely boat ride on Lake Lucerne and the charming Old Town of beautiful Lucerne awaits you! If you can possibly do so, this fantastic four-day circuit hike (out and back from Lucerne) is worth building your entire Swiss vacation around.